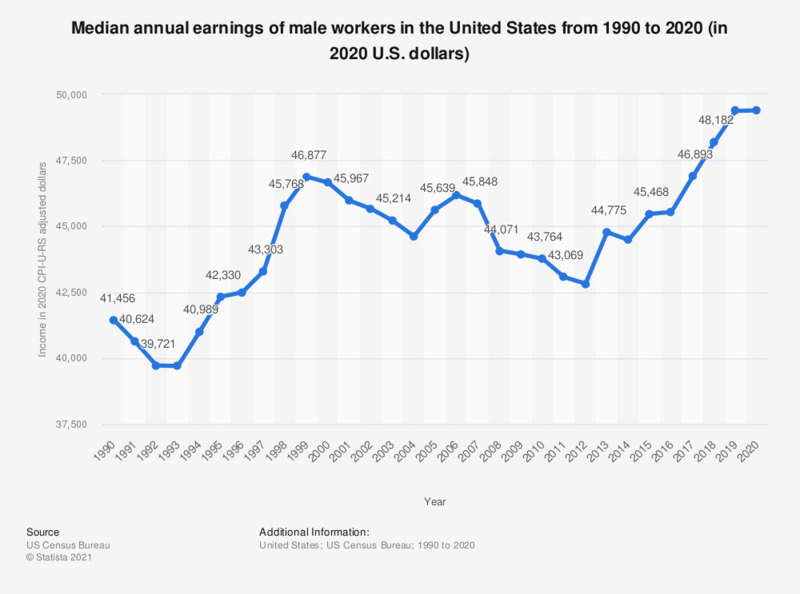 The statistic shows the mean earnings of male workers in the U.S. from 1990 to 2017 in constant U.S. dollars based on 2017 dollar value. The median earnings of workers in 1990 was about 39,259 U.S. dollars. In 2017, the average worker earns approximately 44,408 U.S. dollars. Earnings in 2017 CPI-U-RS adjusted dollars.